"Produces Only Whole Pecan Kernels"
Place the pecan between the cracking cup and anvil. Push the shield forward and pull back the knocker stick. Release the knocker stick and then the shield to reveal a perfectly cracked pecan! We’ve taken apart a dozen variations of older versions of this rubberband-powered pecan cracker and reassembled our version. We call ours the Inertia Nutcracker HD, for Heavy Duty. Surprisingly, there were different types of wood, lengths, thicknesses, and stains. The headstone (the upright wood piece) came in a variety of shapes and sizes. The body and packaging also changed over the years. Just like the original versions, our headstone goes all the way across and is 7/8” thick. This means the headstone will not split. The shield and guide rail are faithfully duplicated for that one-of-a-kind inertia action. We’ve chosen to stay with the darker stain that camoflaugs any pecan dust staining to keep your Inertia nut cracker in great condition. We’ve worked diligently to bring back the old time Texas Native Inertia Nutcracker so that you may find the joy of cracking nuts as much as we have over the years. Control the cracking power by adding or removing rubberbands. Once dialed in, the Texas Native Inertia Nutcracker is the fastest manual pecan cracker to get whole kernel nuts we have found. Fun to use but oh-so-fucntional. Automatically Adjusts to Any Size Nut. Most manual pecan nut crackers require constantly adjusting for different sizes of nuts. GRRR!!! That slows down production, disrupts rhythm and is a source of great frustration. No need to stop and adjust the Texas Native Inertia Nutcker HD! 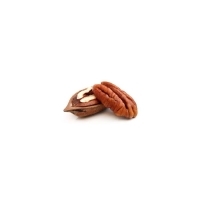 So you can easily crack 30 pecans a minute. The shield reduces pecan nutshell spatter which minimizes the danger of a nutshell fragment to the face. It has the bonus benefit concentrating the nutshells for convenient clean up. You might not know what an issue it is to have shells flying everywhere but trust us, this is such a nuisance! Not so with the Texas Inertia Nut Cracker for pecans. There is just something about the unique sound of nutshell destruction! WHACK! WHACK! WHACK! Who can resist just one more time??? The Inertia Nutcracker HD comes fully assembled. Just take it out of the box and 'Get Cracking!" Our nut cracker uses standard #64 rubber bands found cheaply at any office supply store. So there is no need to buy expensive custom replacements. We make the Kinetic Kracker and the Dynamic Cracker, electric pecan crackers. Each come with a two year warranty. We like to tell people, "If it works for the first 10 minutes it'll work for the next 10 years!" It just seems natural that we would extend our quality bonus length warranty to our Inertia Nutcracker HD. The wood is solid oak. The metal is domestic. The metal parts are American craftsmanship to exacting standards. The rubber bands are made here. Even the staples are made in the USA! © InertiaNutCracker.com. All rights reserved. Manufactured in the USA by Nutcracker Tools, Inc.